We’re very excited to see construction start on our latest vacation home! This family retreat sits high on a bluff looking over mountains, vast orchards and vineyards in every direction. Our architectural design takes advantage of unobstructed southern exposure, which also provides the best view of the austere scenery. Huge folding glass doors connect the great rooms (living areas, dining and kitchen) to the views and outdoors, flanked by a bedroom wing on one side, and garage and studio on the other. This configuration creates an outdoor patio space that is sheltered from frequent strong winds, framing the spectacular views. 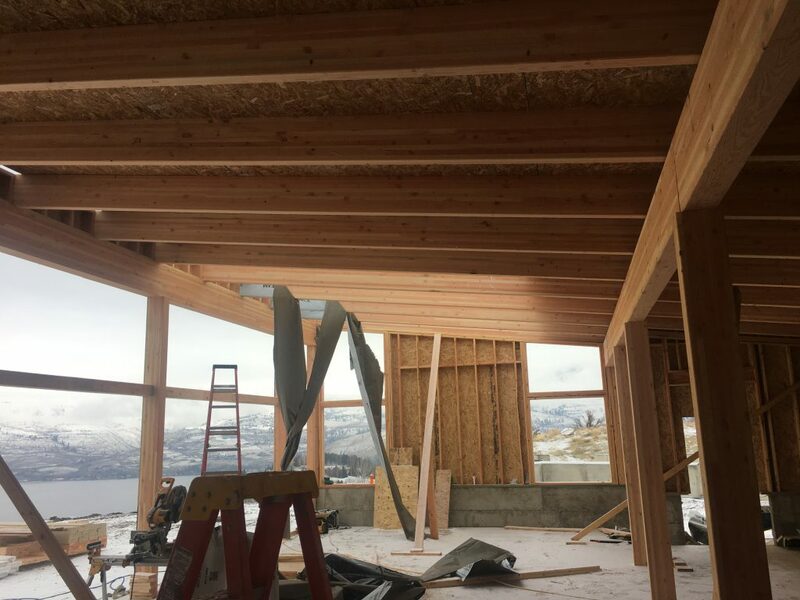 In such a vast landscape that sees extreme weather variance, we felt the architecture of this house should be low and close to the ground, incorporating elements that withstand high winds, beating sun, and heavy snows. Materials are simple and natural, allowing the structure to blend into its surroundings: stained wood, concrete, glass, and metal roof. The house is a contemporary wood-frame structure with a very dominant roof element made of Structural Insulated Panels (SIPs). 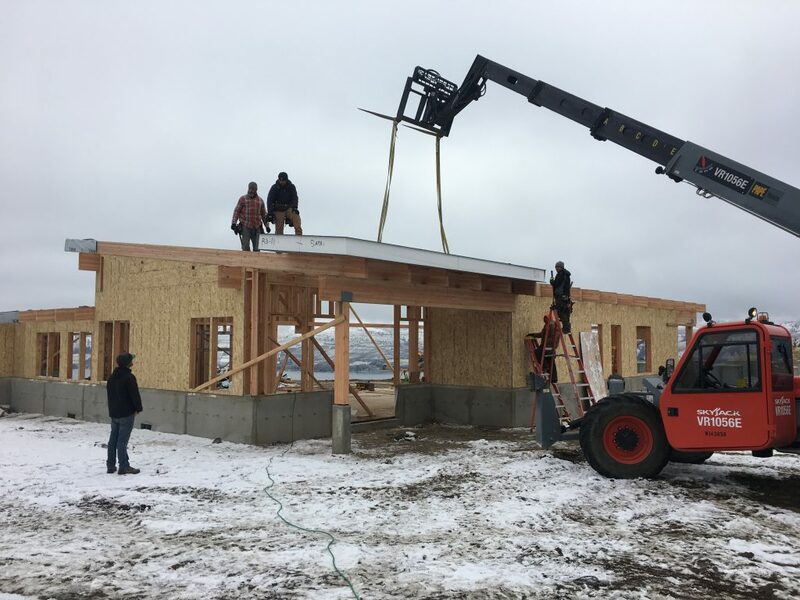 These are prefabricated, insulated panels that are trucked in and craned up onto the roof framing, enabling the roof to be completed in a very short time. The panels allow for large overhangs, desirable for shading of sun in this hot, dry summer climate. Public spaces in the home have a high roof, allowing for maximum light; the bedroom wing has a lower roof, creating spaces that are more private and intimate in feeling. Below, you can see the glu-lam joists, with their protective covers almost completely removed. 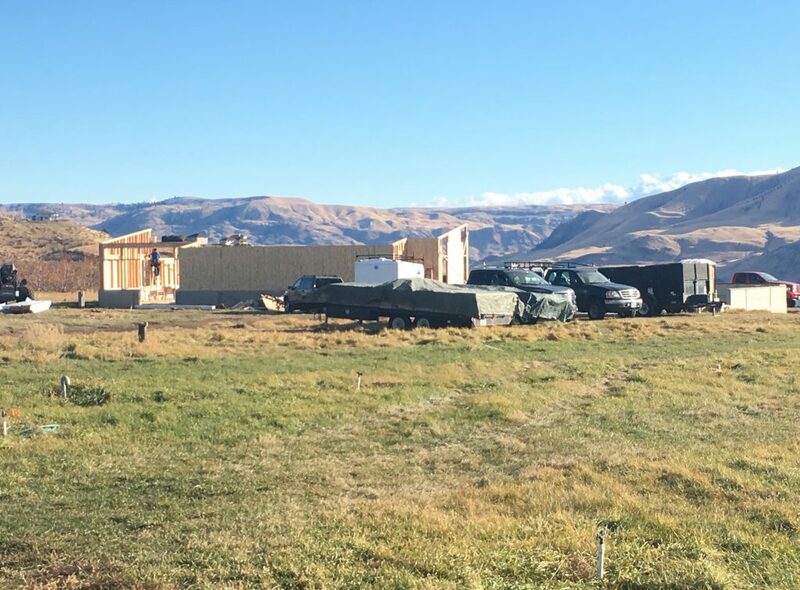 A local contractor is building this project; stay tuned on progress with us as he sends us photos with progress updates!